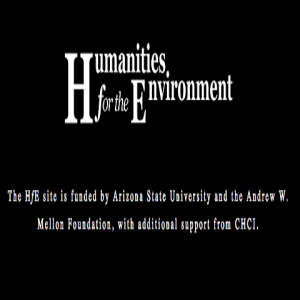 Environmental humanities is a rapidly growing field focused on the study of human imagination, perception, behaviors and the relationship with their surrounding environments, both social and natural. Arizona State University humanist research is led by sustainability scholar Dr. Joni Adamson. Her research defines how and why, in the face of seemingly non-imminent danger, humans choose to act as they do and what would make them shift direction rapidly. This approach is being integrated into all climate and energy research at ASU. This work will contribute substantially to the understanding of human behaviors, motivations, and decision-making, both individually and collaboratively. This research aims to catalyze the rapid social transitions needed to address global energy transitions and climate change. ASU humanists facilitate collaborative conversations by engaging with stakeholders to connect them with an extensive network of humanists and scientists. This network includes over 20 international centers, institutes and collaboratories such as ASU, Trinity College Dublin and the University of Sydney. There are three key areas of practices being developed at ASU. First, the arts-media initiative aims to bring the creative minds of artists, writers, scientists, educators, community leaders and activists together to educate the public on climate change and energy transitions. The second is the citizen humanities initiative, which creates digital, open-access projects to test how non-academic communities can use digital tools to make the expertise and evidence that is the usual province of universities, science labs, museums, art galleries and libraries more accessible. Thirdly, the arts of futurity initiative employs urban planning, geography, future casting, back casting and scenario building to show ways imagination can give tangible form to different worlds outside of the constraints of any given present with implications for risk/disaster management. Adamson is the lead developer for the Humanities for the Environment (HfE) international website. This site connects researchers at universities around the world who are working collaboratively to address environmental challenges in the Anthropocene. Their goal is to identify, explore and demonstrate the contributions that humanistic and artistic disciplines can make to understanding, engaging with and addressing global environmental challenges.